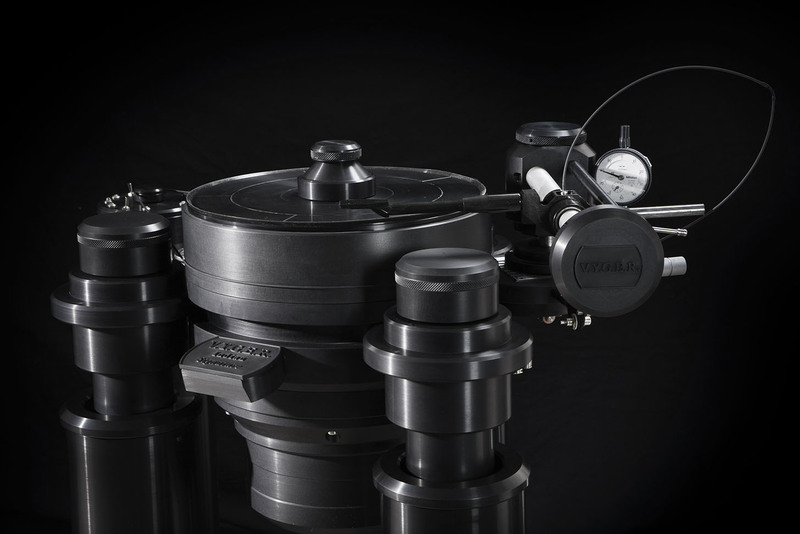 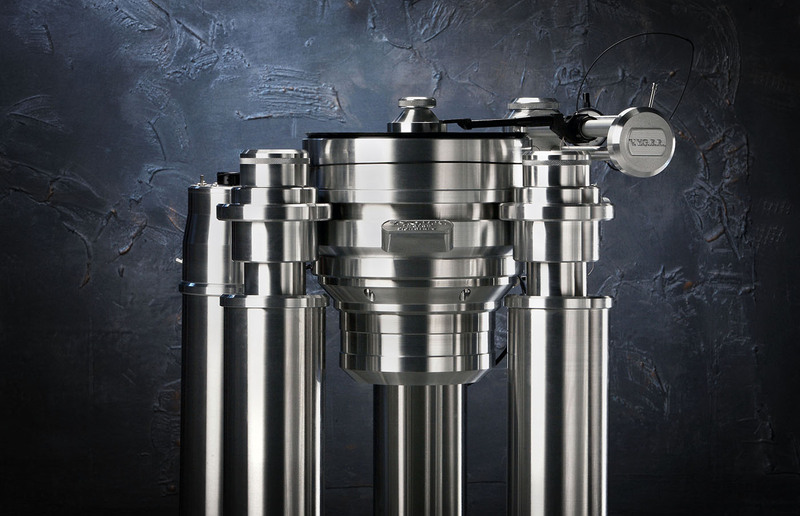 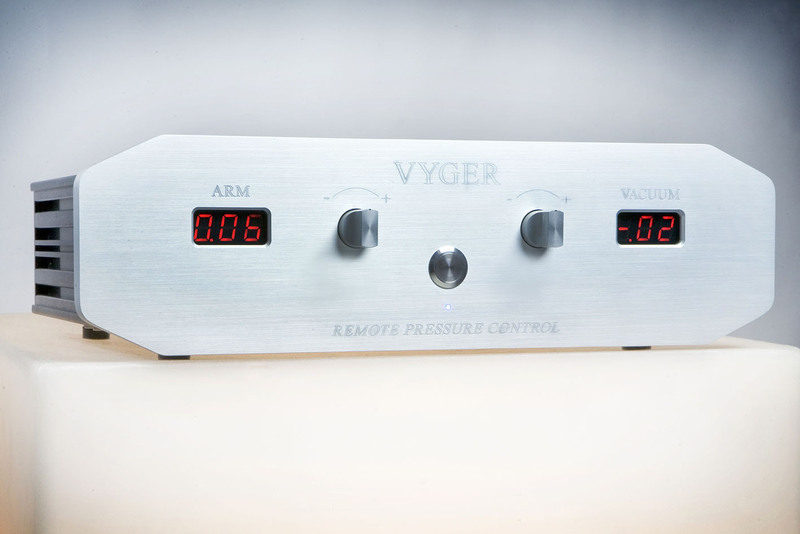 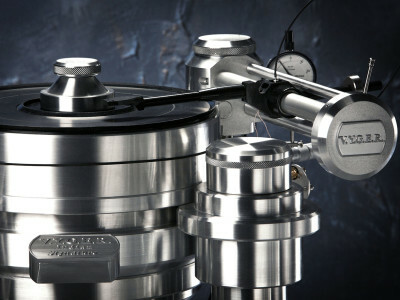 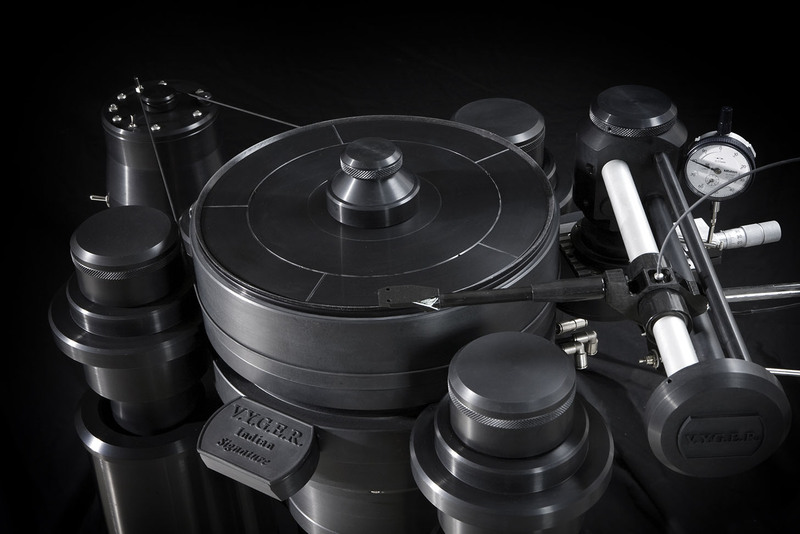 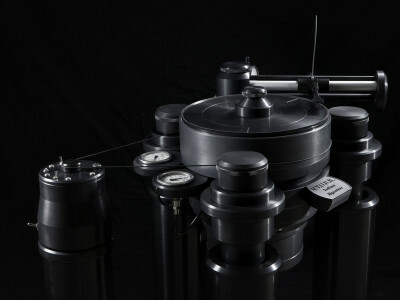 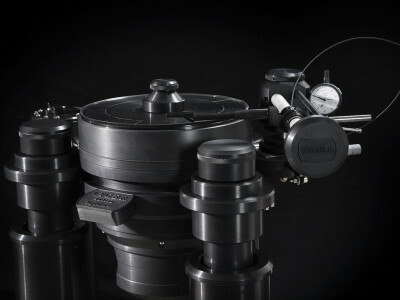 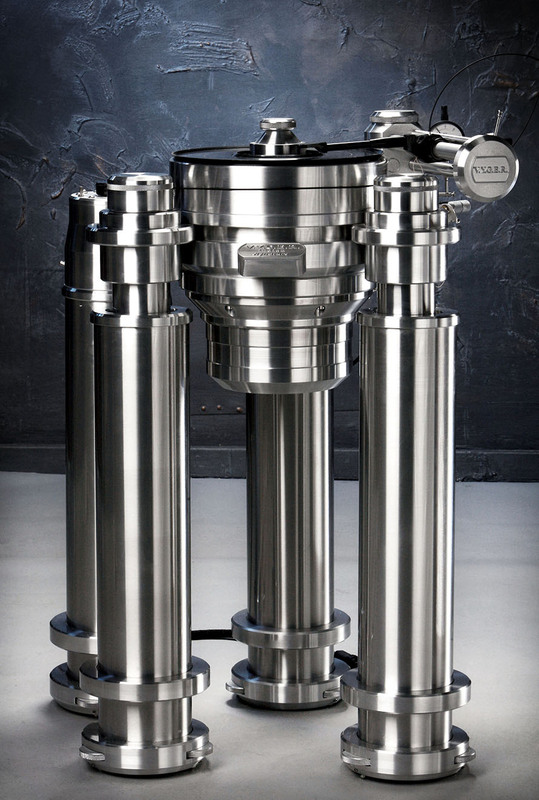 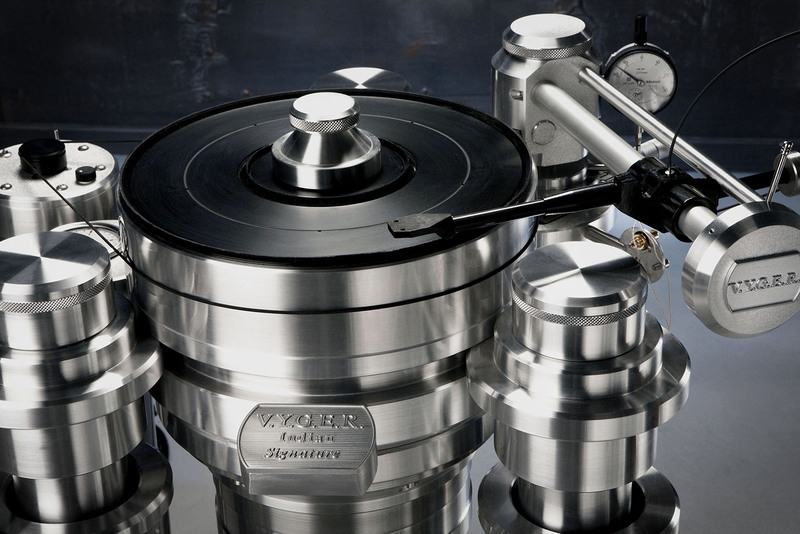 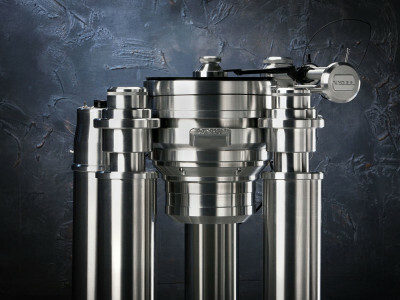 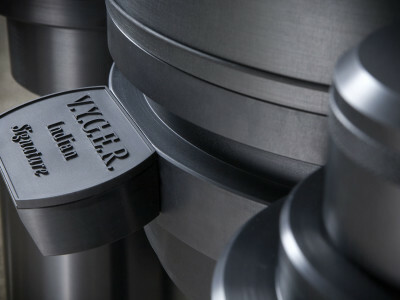 Only VYGER could create a turntable as truly exceptional as the Indian Signature IV Generation, made to create living sound of unique purity matched with powerful dynamics and extraordinary rendering of detail. 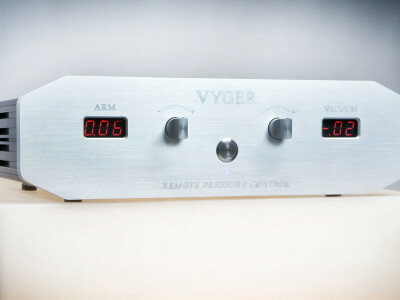 For this project the performance of the INDIAN model was upgraded to the limits of the possible through research into the dynamics of the lower frequency range. 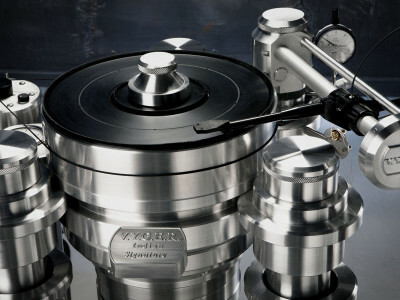 The INDIAN SIGNATURE is an extraordinary turntable, modern yet timeless in appearance. 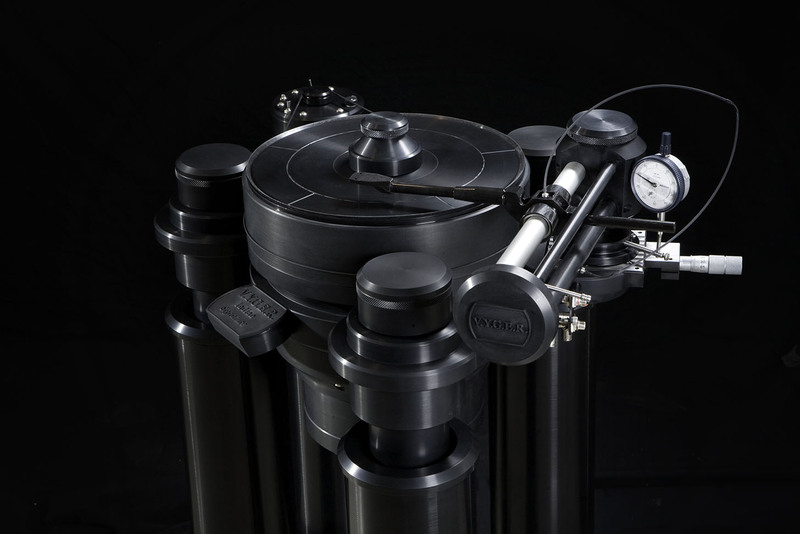 The weight of the original massive aluminium sub-chassis has been increased by the addition of an extremely heavy metallic mass, so the new model’s centre of gravity is located at almost ideal height. 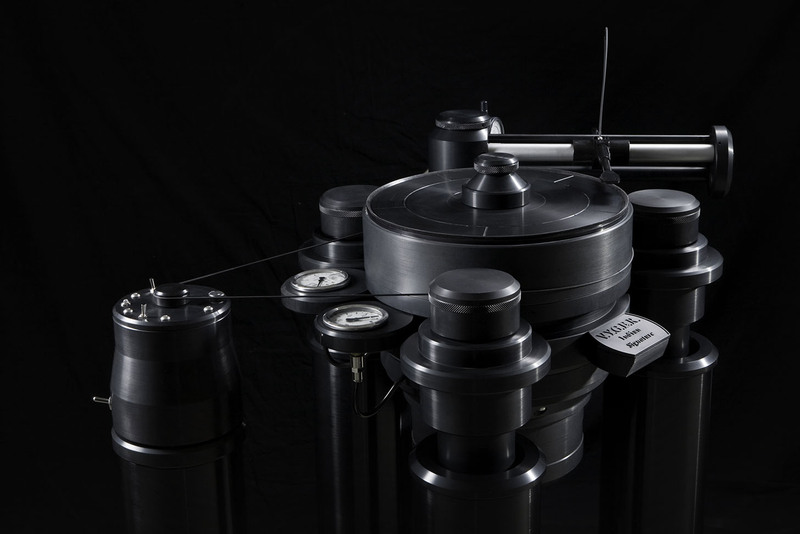 Only a miraculous equilibrium between the conflicting claims of rationality and aesthetics can give life to exceptional objects like our turntables – one of the most beautiful products of science. 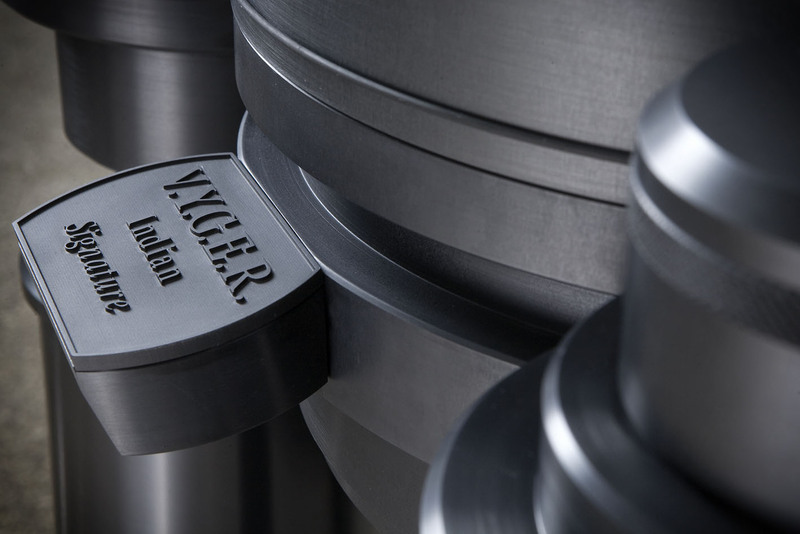 In accordance with our philosophy the spindle and platter have both been machined to tolerances of a few microns and the parts in aluminium have been specially treated to render their surfaces super-hard and scratchproof. 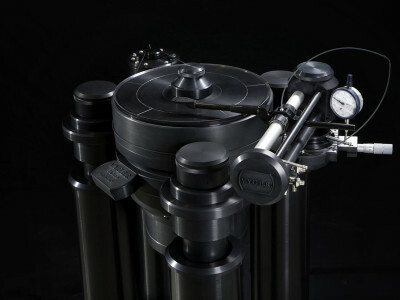 A further improvement has been achieved with new suspension, constructed like that of the ATLANTIS and designed to have very low resonance frequency. 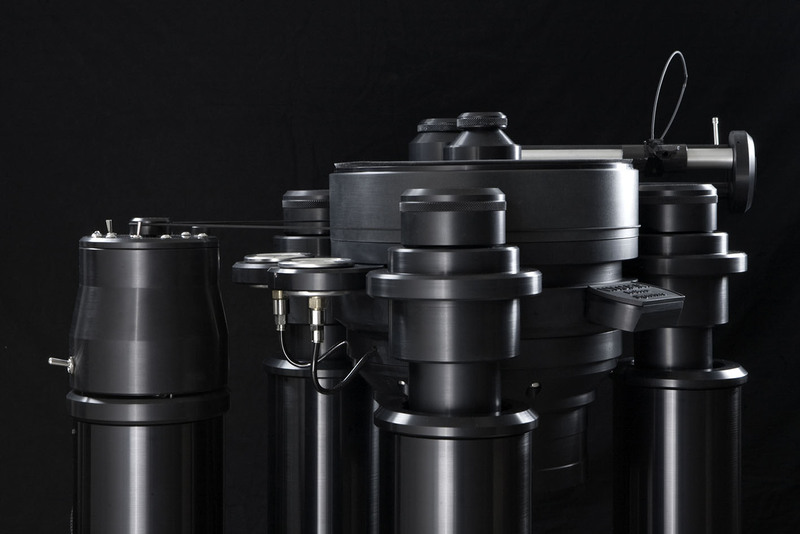 When fitted with the Vision tonearm with pneumatic suspension, the system’s performance is truly exceptional and its output breathtaking in any musical genre. 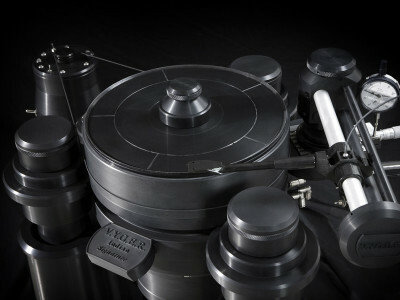 Our aim with this project was to achieve an ideal relationship between the turntable and your floor, by eliminating the need for tables and other supports. 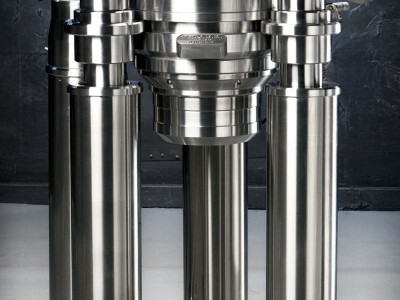 Three large-diameter aluminium towers support the sub-chassis, bonding it rigidly to the floor so as to obtain strict control over the oscillations of the structure. 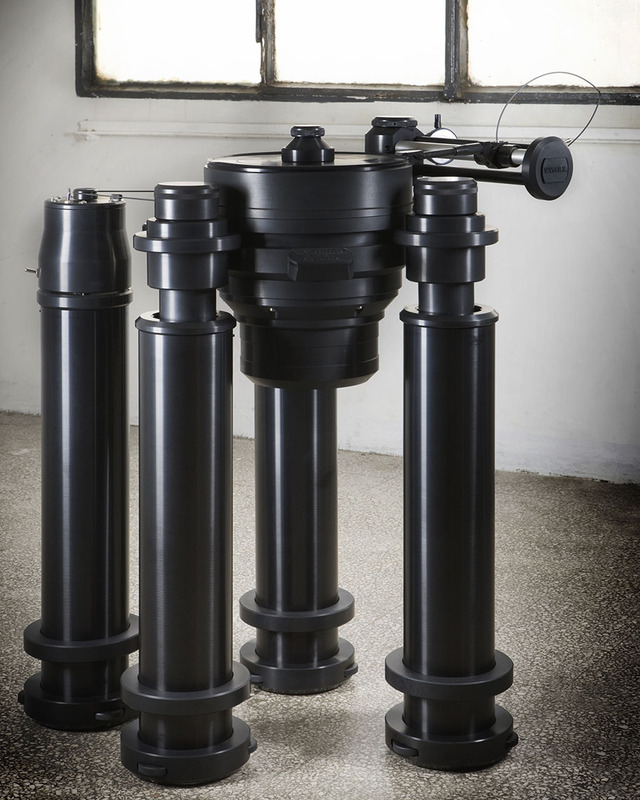 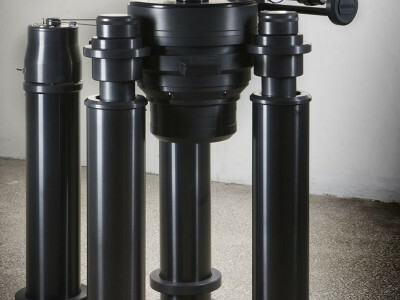 The system is, naturally, fitted with an air pump that has been further improved with special thermal protection against overheating, thereby greatly increasing its reliability. 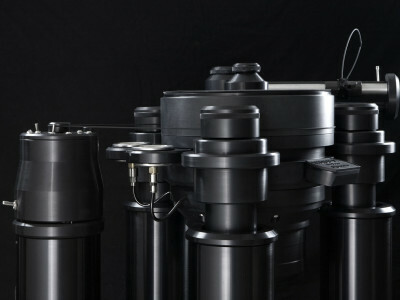 And the new brushless motor makes it even more silent.